Rentec Direct wants to hear your scariest, grossest, funniest, most annoying or nightmarish tenant tales from your days in property management. It’s a dream come true when rent gets paid on time and the property is treated better than a first born child; but bad apples fall (unfortunately) too often in the world of property management. -Did a tenant let 100 iguanas move in? -Did you have to excavate 100 lbs of trash once a tenant finally vacated? -Was an entire apartment painted black without your permission? -Did an illegal tarantula distribution facility get set up? -Did a renter drive his car into the living room? -Did you find out your tenants were notorious host of Eyes Wide Shut style parties? 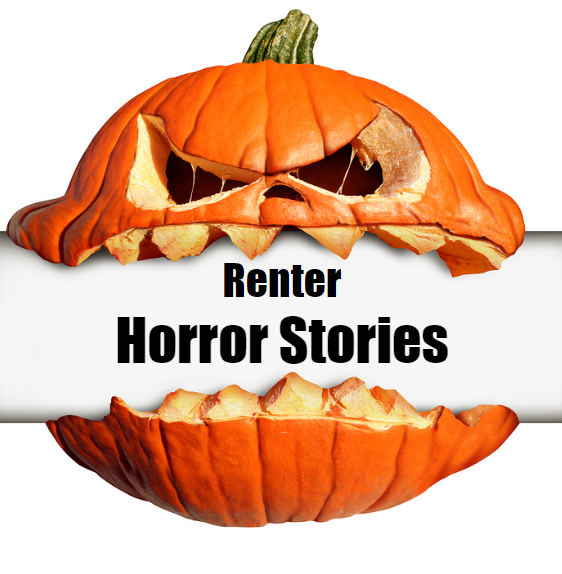 Submit your renter horror story to story@rentecdirect.com by October 25, 2016 and you could win a $50 Amazon gift card. All entrants will be entered into a random drawing for a chance to win a $50 Amazon gift card. The winner will be notified via email on Oct. 31, 2016. Renter horror stories may be anonymously published on the Rentec Direct blog. Names will be changed and/or removed before any story is published. Had a tenant from a new occupied property we took over crawl into a tunnel he made in his 2nd floor bathroom into the 1st floor drop ceiling of the neighboring unit. He made plywood bridges to crawl on and made peep holes to view the female tenant. He made a noise and was discovered. He said he was looking for his cat at 2am. Oh my gosh!! That would be such a ridiculous situation to deal with-what a creep! Thank you for sharing your story! had a female tenant, with one child. At some point, she sneaked her boyfriend into the apartment. Turned out he had been a convicted drug dealer, in parole violation… SWAT came, busted in the front and back doors, bathroom screen, and threw a smoke bomb into the tub. All needed fixed and they tub had a scorch that went through the porcelain down to the iron. had to submit an insurance claim… got canceled. I forgot to include the big dirty handprints that were on the wall where he was held and cuffed. Yuck! Stories that start with secret boyfriends NEVER end well-what a nightmare. Thank you for sharing your story Bonnie. I once had a tenant for three years that was very quiet, paid his rent on time, worked a great job and never caused any trouble. 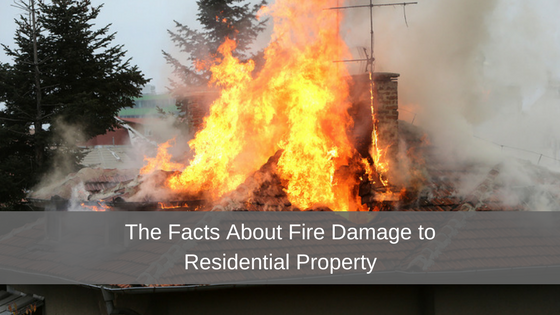 That is until his new neighbor complained that a horrendous smell was wafting into her home and we discovered it was coming from his home. Upon inspection (with gas masks), we discovered that he was a hoarder of food and cigarette butts. As in 3 YEARS OF FOOD AND CIGARETTE BUTTS! A mop and broom were pried against the refrigerator & freezer to keep the rotten food inside. There wasn’t a space left in his kitchen that didn’t have rotten food oozing everywhere – cupboards, counters, floor. There was standing putrid liquid on every surface in the kitchen and clouds of hovering flies. And then two piles, two feet tall, on each side of his recliner, of cigarette butts. Next to the front door, he kept his dry-cleaned suits sealed in bags and a spray bottle of Frebreeze air freshener that I imagine he sprayed on himself when he went to work. Icing? There was a blow-up doll in his bedroom. He was given a notice to move and we were sure we’d have to completely remodel, but when we did a move-out inspection, the home was spotless. Bizarre-o.